This article is about the capital city of Costa Rica. For other uses, see San José. 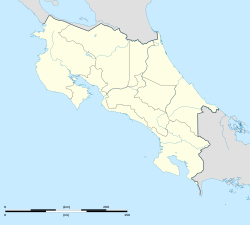 San José (Spanish: [saŋ xoˈse]; literally meaning "Saint Joseph") is the capital and largest city of Costa Rica. Located in the mid-west of the Central Valley, San José is the seat of national government, the focal point of political and economic activity, and the major transportation hub of this Central American nation. The population of San José Canton was 288,054 in 2011, and San José’s municipal land area measures 44.2 square kilometers (17.2 square miles), and an estimated 333,980 residents in 2015. The metropolitan area stretches beyond the canton limits and has an estimated population of over 2 million in 2017. The city is named in honor of Joseph of Nazareth. Though few people live in the city center, it is the most important working area[when defined as?] of the country, which brings in more than a million people daily. According to studies on Latin America, San José is one of the safest and least violent cities in the region. In 2006, the city was appointed Ibero-American Capital of Culture. The population of San José grew during the eighteenth-century colonization planning, which was different from the traditional foundation plans of Spanish cities in the continent of Central America. Founded in 1736 by order of Cabildo de León, its objective was to concentrate the scattered inhabitants of the Aserrí Valley. De León thus ordered the construction of a chapel near the area known as La Boca del Monte which was completed a year later. That year St. Joseph was chosen as parish patron, hence its current name. The chapel, which was very modest, was erected with help from the church of Cartago. Unlike neighboring Cartago San José was not founded by formal decree and thus lacked a city government. It was not until the enactment of the Constitution of Cádiz in 1812 when San José had its first city government. On the 18th of October 1813, the area was first defined as a city by presbyter Florencio del Castillo, on behalf of the Spanish government, title which was then lost in 1814 when Ferdinand VII of Spain annulled the proceedings of the courts. 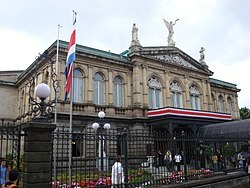 The municipal government was restored in 1820 along with the title of city and in 1823 San José became the capital of Costa Rica. This makes San José is one of the youngest capital cities in Latin America by year of conception. Population and economic growth were spurred by improvements in access to water and the installment of the Tobacco Factory in 1782. The accumulation of capital brought by tobacco plantations allowed the city to economically surpass neighboring provinces. The first modern urban neighborhood carries the name of his founder, the French coffee entrepreneur Monsieur Amon, and was created in the late 19th century, in line with Belle Époque contemporary architecture. Barrio Amon, as well as the National Theatre, remain symbols of the so-called Costa Rican coffee golden age. Costa Rica has developed high education levels. As of 2011 97.6% of the population over 10 was literate, 96% of children aged 6-11 attend primary school and 71% of students of high-school age attend high-school. The country as a whole has the highest education levels in Central America and one of the best in Latin America. This is especially true for San José, the nation's educational hub home to a large number of public and private universities. San José is one of Latin America's safer cities. As of 19 June 2012, both city and nation reduced their crime indices considerably.[timeframe?] Nationwide, crime was reduced from 12.5 to 9.5 incidents per 100,000 inhabitants. The capital is made up of 5 districts (distritos): Catedral, Carmen, Hospital, Mata Redonda, Merced. And three districts partially: Pavas, Uruca, Zapote. The city is serviced by Juan Santamaría International Airport (IATA: SJO, ICAO: MROC), 23 km (14 mi) west of downtown, in the city of Alajuela, which is one of the busiest airports in Central America. In 2010, Juan Santamaría International Airport received 4.3 million passengers, most of them from international flights. In 2011, the airport was named the 3rd Best Airport in Latin America/Caribbean from the Airport Service Quality Awards by Airports Council International. San José hosted the 2015 FIBA COCABA Championship, where the Costa Rica national basketball team finished 2nd. Playground was the Gimnasio Nacional. La zone roja is San José's oldest theater. ^ "Demographia World Urban Areas PDF (March 2013)". Instituto Nacional de Censos de Costa Rica. Archived from the original on 20 November 2015. Retrieved 24 November 2013. ^ Conrad, Peter (23 November 2012). 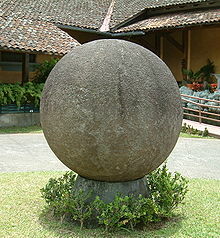 "Interest activities to do in San Jose, Costa Rica". TravelExcellence.com. ^ "Costa Rica still one of the safest places in Latin America". The Costa Rica News. 17 June 2012. Retrieved 8 July 2013. ^ "San Jose Costa Rica is the sixth most important destination in Latin America". The Costa Rica News. 14 June 2012. Retrieved 8 July 2013. ^ "Historia de San José: Ciudad hace 200 años". La Nación, Grupo Nación (in Spanish). Retrieved 1 November 2018. 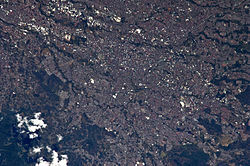 ^ "San José, city, Costa Rica". ^ inec. "Censos 2011 | INSTITUTO NACIONAL DE ESTADISTICA Y CENSOS". www.inec.go.cr (in Spanish). Retrieved 1 November 2018. ^ "Universidades de San José (Privadas y Públicas)". Altillo.com. Retrieved 8 July 2013. ^ "La Universidad de Santo Tomás (1843-1888)". Universidad de Costa Rica archive. ^ "CHINA DONA 200 PATRULLAS CON GARANTÍA DE REPUESTOS". Prensalibre.cr. Archived from the original on 10 February 2013. Retrieved 8 July 2013. ^ Cota, Isabella. "San Jose, Costa Rica to install its first street signs". Yahoo News. Retrieved 28 September 2012. ^ Horario de Tren, www.horariodetren.com. "Urban Train in Costa Rica". Horariodetren.com. Retrieved 8 July 2013. ^ "Costa Rica: Cuisine". Globalgourmet.com. Archived from the original on 28 July 2013. Retrieved 8 July 2013. ^ "CHAPTER 7: Introduction to the Atmosphere". PhysicalGeography.net. Retrieved 17 September 2016. ^ "The Climate of Tropical Regions". The British Geographer. Retrieved 17 September 2016. ^ "Klimatafel von San José (Int. Flugh.) / Costa Rica" (PDF). Federal Ministry of Transport and Digital Infrastructure. Retrieved 17 September 2016. ^ "Juan Santamaria Climate Normals 1961–1990". National Oceanic and Atmospheric Administration. Retrieved 26 July 2017. ^ Baker, C.P. (2005). Costa Rica. Dorling Kindersley Eye Witness Travel Guides. p. 60.